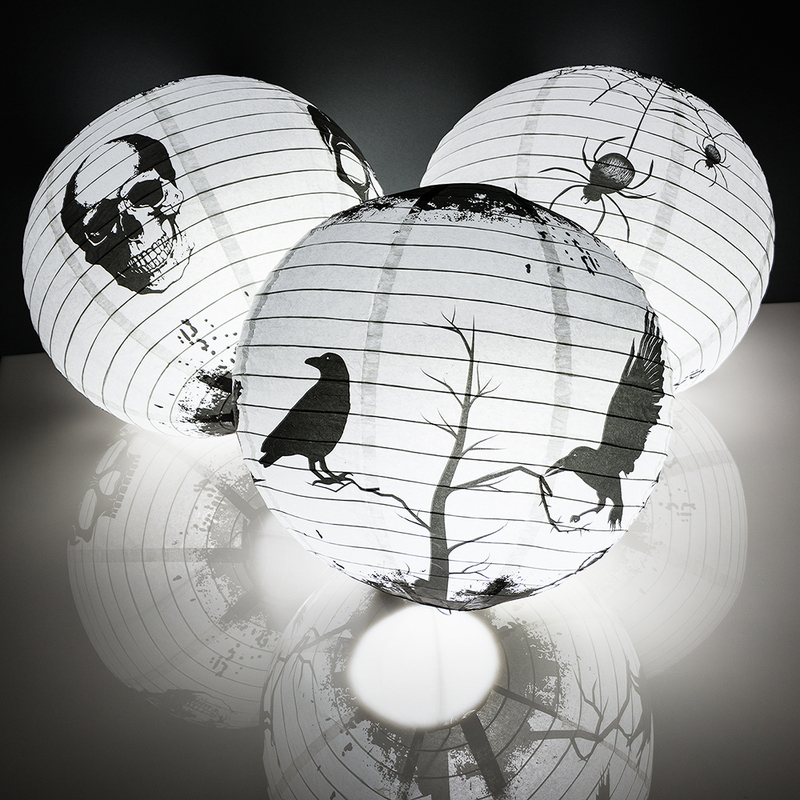 Get ready to be spooked with our new line of White and Black Halloween Paper Lanterns! These illuminated, remote-control and color-changing 3-pack of lanterns make the perfect lighted decoration for scary stories to tell in the dark. Frighten your guests at the next Halloween Party by hanging these unique, 14-inch chinese lanterns in your event space, bedroom and around the Home. Control the look wirelessly using the remote. Available functions include On, Off, Slow Color Changing Mode, Fast Color Changing Mode, 6-Hour Timer, and 7 specific color buttons to set that uniquely beautiful and dark ambiance. 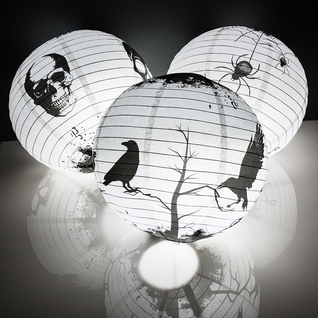 Pattern: 1x Crows, 1x Skulls, 1x Spiders. What's Included? : 3x 14-inch Lanterns, 3x Color-Changing LED Lantern Lights, 1x Remote Control. Batteries : Each of the three Lantern Lights will require 3x AAA batteries (Not Included). The included Remote Control will come with 1x CR2025 cell battery. See The Remote Controlled Color Changing Lantern Lights In Action. The lanterns came quickly and were low priced. No other neighbor will have these Halloween decorations. Al the lanterns arrived intact and when we tested the lights and remote, they worked fine too. Can not wait to use these in my store this fall! Excellent quality and value. 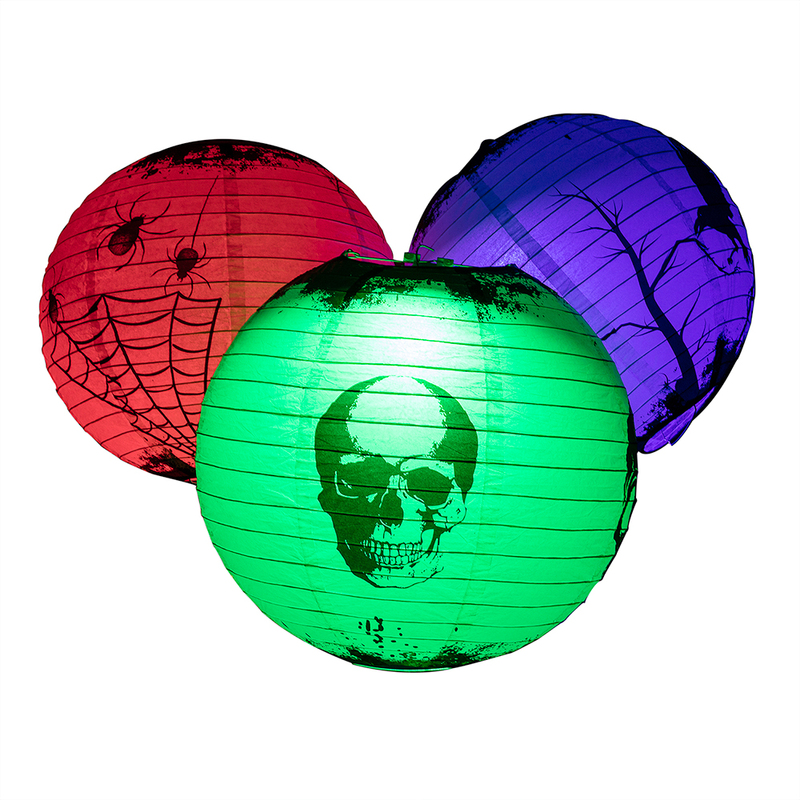 No decision to make as The Paper Lantern Store coordinated a combo pack for you, perfect balance of sizes and colors takes the quess work out of it when you purchase their combo packs. ProsNo guessing if you bought the right colors and sizes. Excellent quality and value! The lights are not rechargeable. Batteries are not included for the light units. However, you may use rechargeable batteries if you have them. 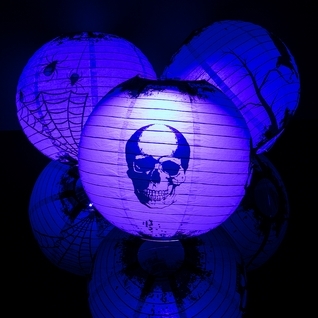 Each of the lantern lights, need 3 x AAA per lantern light.